ONE DAY. ONE MILLION. ALL OR NOTHING. 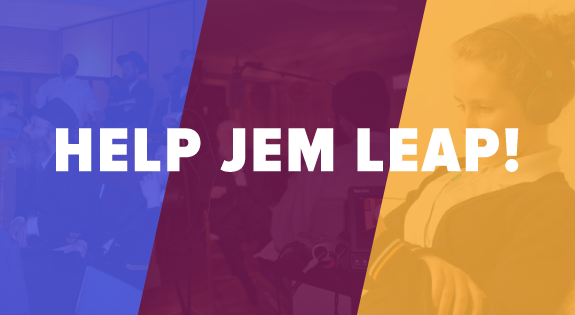 PLEASE HELP JEM TAKE A HUGE LEAP. With the help of a group of generous donors, JEM is embarking on a far-reaching and ambitious goal to raise 1 million dollars in 24 hours. Your gift will help us continue providing videos of the Rebbe that you've come to rely on for inspiration and connection, extend their reach to the larger world, and increase the amount of content we produce and release. Please participate today at WWW.JEMLEAP.COM.